April 4-6, 2013 in Washington, D.C.
WASHINGTON, D.C. (April 2, 2013) – The National Association of Black Journalists (NABJ) is proud to announce its 5th Annual Media Institute on Health. The three-day conference will take place April 4-6 in Washington, D.C. and it is hosted by The Kaiser Family Foundation. On Thursday, April 4, registered attendees will participate in an exclusive White House Briefing on Consumer Health from Administration officials including HHS Secretary Kathleen Sebelius and Senior Advisor Valerie Jarrett. U.S. Surgeon General Regina Benjamin will address the conference on Friday, April 5, about anti-obesity and breastfeeding initiatives. Some of the nation’s top health experts and policy officials will lead thought-provoking sessions that will go beyond the statistics and provide valuable information on topics including the Affordable Care Act, HIV/AIDS, mental health and caregiving. There will also be sessions on using social media for health reporting and the impact of gun violence on children and teens in communities of color. On Saturday, April 6, journalists will have the opportunity to participate in a roundtable workshop at the National Press Club which will help them digest what they have learned, formulate story ideas and discuss innovative ways to present the information to their respective audiences. 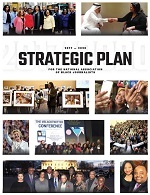 "Whether you are a dedicated health beat reporter or health issues arise in your coverage of business, housing, education or politics, this conference will help you build stronger stories,” said NABJ Parliamentarian and Conference Chair Cindy George. 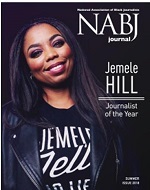 For more information on the 5th Annual NABJ Media Institute on Health, please click HERE.